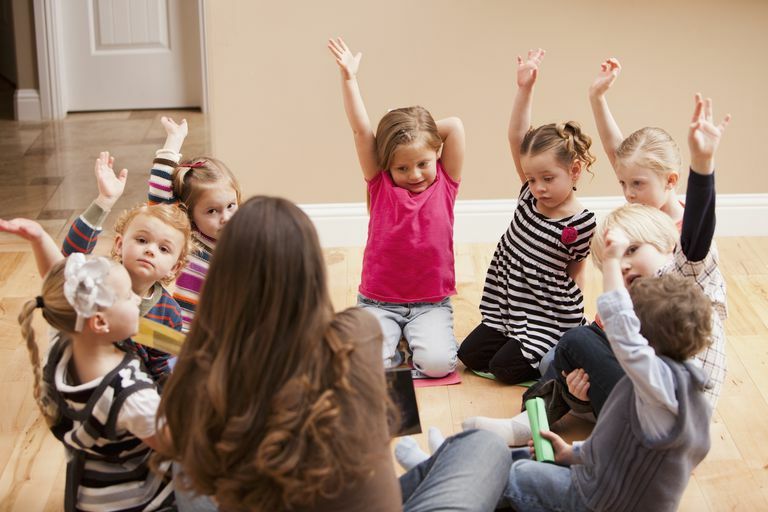 When it comes to what's expected from young children in preschool and kindergarten today, the most fitting description may be too much, too soon. In the past few decades, the clear trend in kindergarten and even in preschool has been to spend more time on academics at the expense of things like developing social and emotion skills through free play and other activities. Studies show that kindergarten is the new first grade, and children in kindergarten and early grades in elementary school are getting more homework than they should and are feeling stressed. But for many preschool and kindergarten-age children, jumping right into academics without spending more time on socialization is a bit like putting the cart before the horse. Ironically, playing less and studying more may actually get in the way of some kids' learning rather than boost their academic skills, according to a October, 2016 study by researchers at Michigan State University. Many young children simply may not be ready to master skills like self-regulation, which strengthen as children develop socially and emotionally, until they're older, in first grade or beyond. Emphasizing academics over building the tools kids need to practice self control may be counter-productive because studies have shown that self-regulation is linked to academic success, better social skills, improved language and literacy development, and other positive outcomes in school and in life, says Ryan P. Bowles, PhD, associate professor in the Department of Human Development and Family Studies at Michigan State University and one of the study authors. In short, while some children may be able to have self-control, follow instructions, and be ready to learn in a classroom setting, others may not develop those skills at a later age. The researchers at Michigan State examined data from three separate studies that measured the development of self-regulation in young children between the ages 3 and 7. The studies evaluated a total of 1,386 children from different backgrounds (socioeconomic, race, etc.) on behavior self-regulation, which was measured by asking them to do the opposite of what the instructions said in a "Head, Toes, Knees, and Shoulders" game. (If they were told to touch their head, for instance, they were supposed to touch their toes instead, and so on.) This task measured several skills that involve self-regulation, including the ability to stop an action you want to do and follow instruction; the ability to remember; and the ability to pay attention, sustain that attention, and be vigilant. The results were clear and consistent: While some kids in preschool and kindergarten were on their way to self-regulation, others were clearly not yet ready. The children fell into one of three groups, says Dr. Bowles: early developers (those who were able to follow instructions and were ready to learn in the classroom); intermediate developers (those who started out slow but were becoming better at self-regulation by kindergaten); and later developers (kids who were really struggling and whose inability to self-regulate was getting in the way of gaining academic skills). "The results were replicated in all three separate longitudinal studies," says Dr. Bowles. "It was impressive." Preschool, and even kindergarten, used to be a place where kids interacted with peers and teachers as they developed social and emotional skills. Now that the focus is more on the academic, there is less time and effort spent on nurturing those skills. Not all children are the same, and some kids are simply not ready for self-regulation. The study found that as many as one-fifth of the children in the study didn't appear to master behavioral self-regulation in preschool. Pushing academics in the early years means that many kids will not be able to take advantage of what is being taught. While there's nothing wrong with teaching young children ABC's and numbers, expecting them to all be emotionally and socially ready to conform to a classroom setting leaves many kids out in the cold. Letters, reading, writing, and math should be balanced with time to play and socialize. Parents can do their part to encourage the development of behavioral self-regulation in kids by exposing their children to different social situations such as play dates with friends, trips to museums or other educational settings with other parents and kids, and having family time. Parents can encourage kids to show good manners and kindness when interacting with others, show kids how to be charitable and to volunteer as they socialize, and learn the value of empathy. They can stop bad behavior when they see it and work with their children to find positive ways to handle frustrations or obstacles. And they can encourage their children to have conversations at dinner time and learn important skills like learning to wait their turn to speak, listening to others, and if they disagree, to do so respectfully.